We have been constantly traveling around the Philippines for almost three years now, and having a full time day job and squeezing weekend trips in between is still such a huge challenge for us. Not that we are complaining, but like you, we do get tired as well. 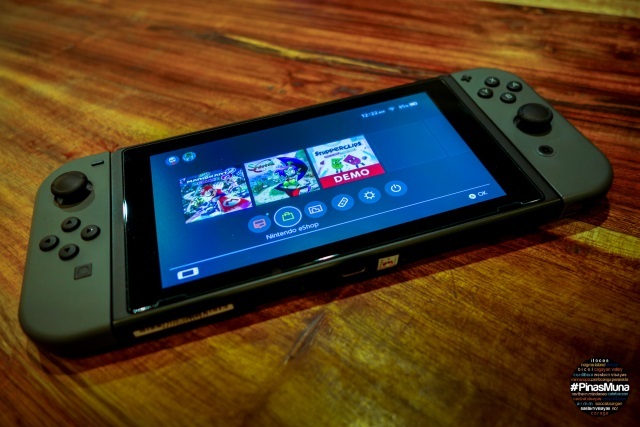 It may sound funny, but there are times when we just want to take a break from all the long, back-breaking travels and road trips. To close the month of April, and in celebration of my 34th birthday, we embraced the staycation lifestyle and launched our new "Staycation" blog series. 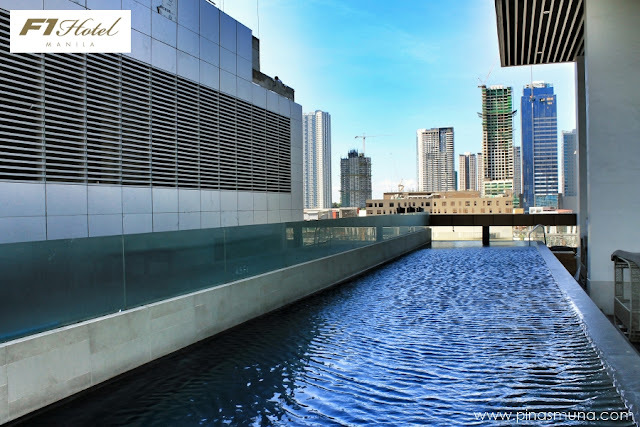 For our very first staycation, we have chosen a commercial district in Metro Manila that is very close to our hearts, Bonifacio Global City (BGC). During our staycaton in BGC, we were very fortunate and honored to be hosted by no other than F1 Hotel Manila, the premier and grandest hotel in BGC. The hotel is centrally located in BGC close to restaurants & cafes, malls and boutiques, activity & recreation centers, and even a hospital. 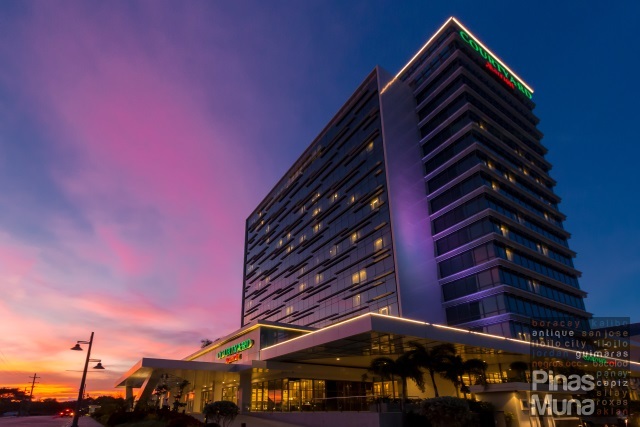 The hotel is also easily accessible from the Ninoy Aquino International Airport (NAIA) and several land transportation terminals. 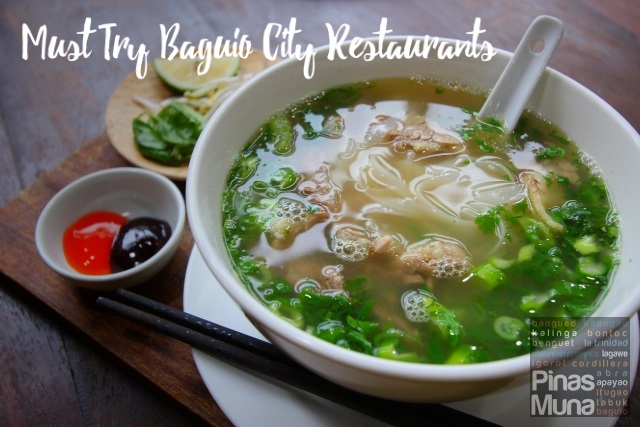 What we like the most about BGC is that it is not as crowded as the Central Business Districts of Makati and Ortigas, thus ensuring a relaxing and stress-free staycation. 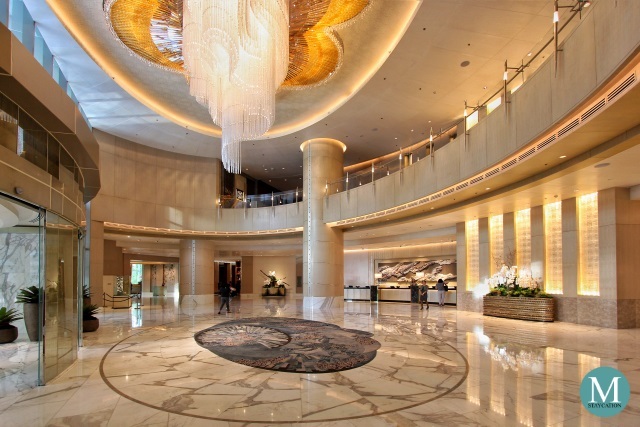 Upon arrival at F1's ground floor lobby, we were greeted by the hotel's courteous and friendly staff and we were quickly guided to the hotel's front desk for check-in. Being an upscale hotel, F1 takes security and safety of their guests seriously. A key card is issued to checked-in guests, ensuring that only guests have access to the elevators and rooms. After filling-out the requisite guest information sheet, the hotel staff assisted us to our assigned room. We stayed in a Deluxe King Room on the 10th floor of the hotel, with a view over Bonifacio Highstreet. 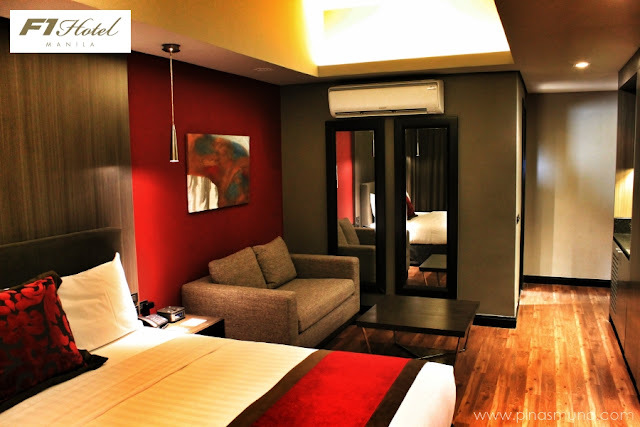 The room is equipped with an individually controlled air conditioning system and an LCD TV. The room has an elegant and stylish interior, with warm colors and cozy lighting, fine furniture and fixtures. The room is spacious enough to fit a king size bed, a sofa and a work desk. The king-sized bed is the highlight of the room. 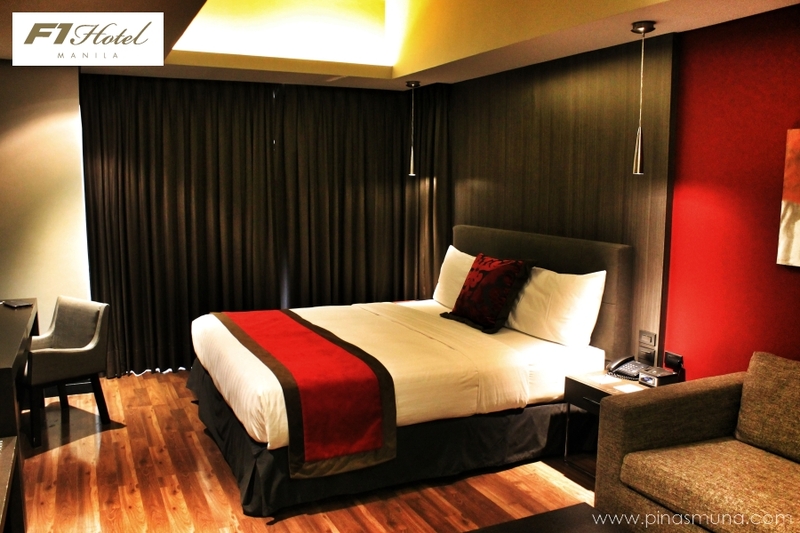 It is covered with soft white linen, the mattress has the right firmness, and the pillows are very comfortable. We also loved the iPod dock which allowed us to play our favorite tracks inside our room...really making us feel at home. We were equally impressed by the shower room. It is moderately spacious with enough room to move around. The towels smelled clean and fresh. 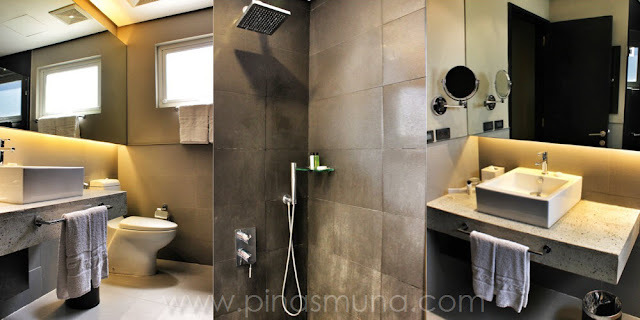 The toilet was equipped with a bidet, something rarely found in hotels in the Philippines. Shower water pressure was excellent and we loved the rain-shower head. The tiles used on the floor made sure that guests won't slip inside the walk-in shower. 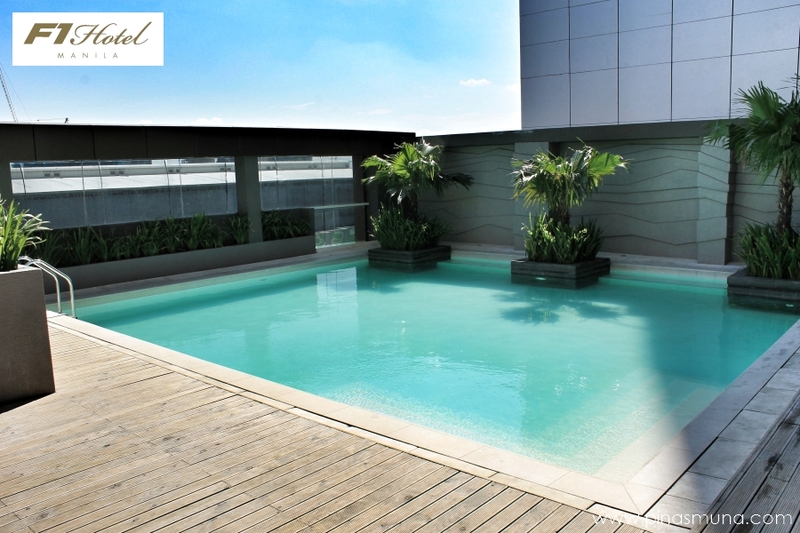 F1 Hotel Manila has three swimming pools located on the third floor of the building where we enjoyed a spectacular overlooking view of the BGC cityscape. To make your swim extra fun, we recommend chilling down with a drink at the Canary Lounge located right beside the pool area. F1 Hotel Manila's F Restaurant offers a wide array of international food choices catering to different tastes and cultures. 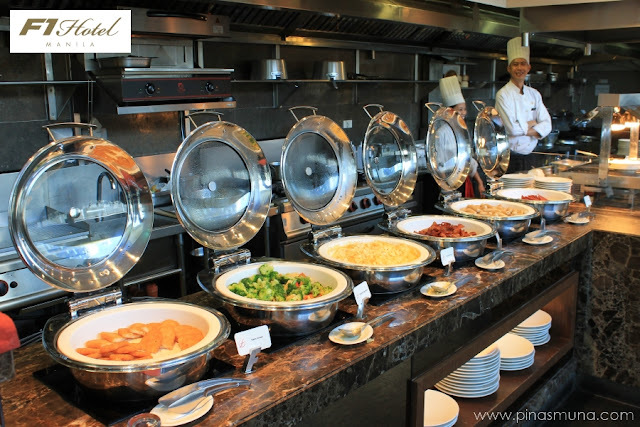 From fresh fruits to buttered vegetables, from salads to pastries, from cheeses to jams, from rice to noodles, from bacons to sausages, and from scrambled eggs to omelets, there is definitely something for everyone. Look for the jolly Chef Billy and have a custom omelet made for you. We also enjoyed their refreshing fresh fruit juices. Their coffee is also divine! 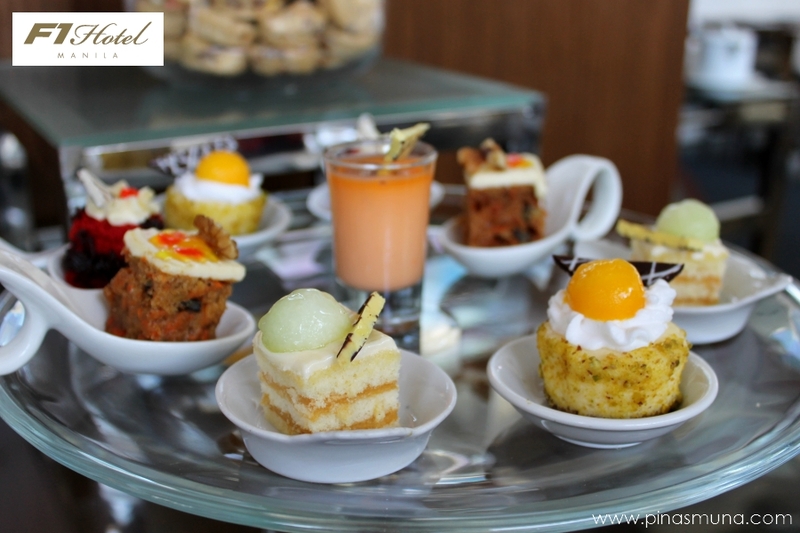 F1 Hotel Manila takes pride in having celebrity Chef Sau del Rosario as their Executive Chef. 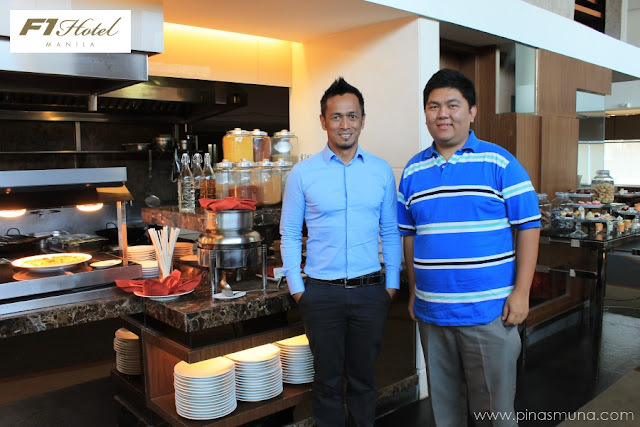 During our staycation, we had the privilege of having lunch with Chef Sau and F1 Hotel Manila's Marketing Manager, Mr. Mikco Maiquez. Like us, Chef Sau also enjoys travelling. We exchanged travel stories of adventures and misadventures, shared experiences during food trips, and talked about the his future plans for F1 Hotel Manila. Chef Sau also gave us a brief introduction about the cuisine in his home province of Pampanga, detailing the history of the development of some of the iconic Kapampangan dishes. We really had a great time with Chef Sau and we are looking forward to his future culinary creations. Overall, F1 Hotel Manila helped us define what a staycation truly is: a relaxing, stress-free but fun-filled vacation in the city. 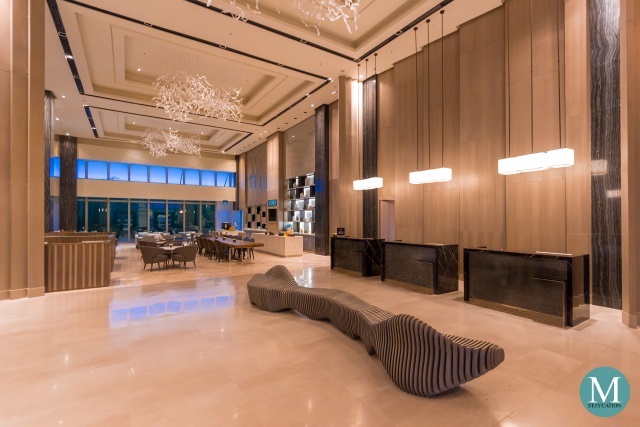 The hotel offers comfortable rooms with modern facilities, serves great food and is within walking distance to many shopping and leisure centers in Bonifacio Global City. It is also the perfect choice for international business travelers on assignment in the Bonifacio Global City area. 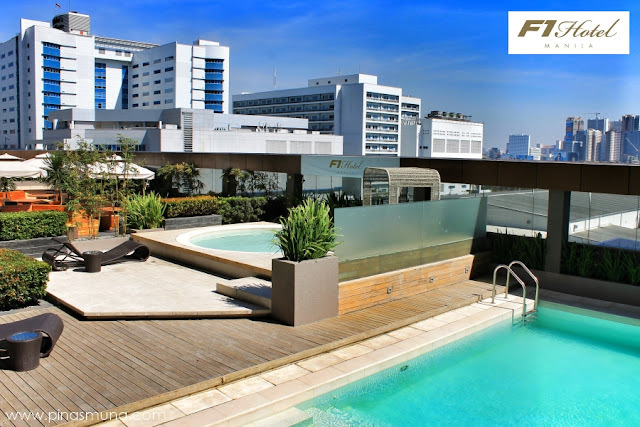 We invite you to spend a weekend at F1 Hotel Manila and experience what Staycation in BGC is all about. 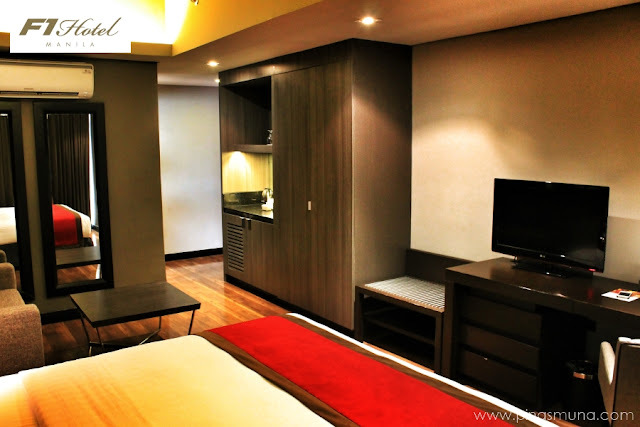 Book F1 Hotel Manila in Bonifacio Global City, Taguig with Traveloka. Congratulations on having one of the most sophisticated blogs Ive come across in some time! Its just incredible how much you can take away from something simply because of how visually beautiful it is.